Last week the New York Times ran an interesting article about cars fitted with the so-called starter interrupt device. Many might know that some cars have an engine cut off switch that can be remotely operated. If someone steals your car you might be able to track it and turn the engine off if you have forward thinkingly fitted one. But they are becoming more commonly used today on cars that are sold with lease or debt payment. And it is extremely simple, I sell you the car and as long as you repay the debt or lease charges the vehicle is yours to do what you will, and drive where you like. But if you miss a payment, I can remotely track your movement and at the moment I see fit I can block the car. So one morning, you have not made the payment on Friday because you are on holiday, you go out to take your child to school, or the dentist, or the hospital because she is sick, and the car won’t start. Now I would agree that if you want a car you should pay for it, and that if you don’t keep up payments you may lose it, but there are other knock on effects to using such technology in this way. Of course there is the problem that you might block a car that would be used in an emergency situation, like the one suggested above. 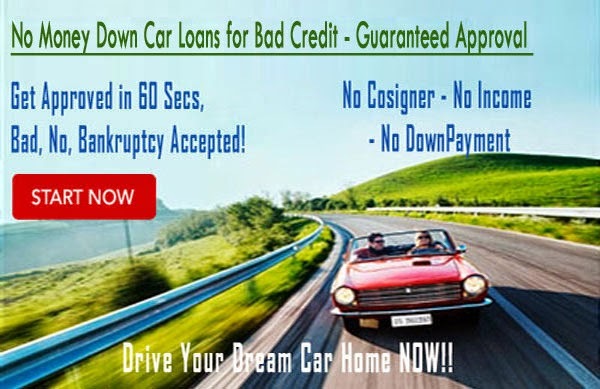 But the effect of having such a ready resource in reclaiming the car may lead you to sell it to someone who might have difficulty repaying the loan. If you knew that you might have to first find the car, send a car transporter out to recover it and incur some time and financial interference, you might think twice about selling it to someone with a bad credit rating and precarious situation. If you know you can just track the car, block it when it is in a good place for you to collect, and always know where it is, then who cares? Give them the car and get it back later. These devices are currently fitted on about 2 million cars, and the article states that their use is helping to push the use of sub-prime auto loans. I am no financial guru but I have heard a lot of talk and read a lot about sub-prime mortgages, and they don’t get good press. So even if we put aside the issue of privacy, as the lender can see your every move (I put it aside because if you carry a mobile phone you are in the same boat), there is the problem of physical security in case of malfunction, data protection and of course dragging people into high rate loans and all the associated black market dealings that go with debt. But we should not forget that this technology also means that people who would not be able to buy a car can get hold of one, and people might accept the device if the choice is that of car with device, or no car. High rate loans are justified because they are high risk, so I might argue that if you take the risk out of the loan then the rate should drop, this does not however seem to be the case (surprisingly). Read more on the argument through the link to the New York Times above, and let me know in the comments section if you have any experience. Wow, I couldn’t imagine driving to uni and then not being able to get home – or to work – because a person somewhere in an office decided to stop me using my car. Do you think the companies always check where you are? What if you are in the middle of nowhere – and they cut your engine? I know in the UK you are never too far from help, but if you are in the highlands of Scotland for example, with no mobile signal and you are miles away from anyone else with no supplies, how would you survive? I imagine in many places in the US for example, the situation could be much worse, due to the size of the country. If someone were in the middle of nowhere and their engine were cut, and as a result they died, who would be responsible for their death? Surely it has to be the organisation who ordered their engine to be cut. I’ve seen these devices used in Sri Lanka and it’s almost always to prevent theft. Also if this device is fitted separately later I guess you can remove it without too much of a problem. What to stop the new owner from removing this device. Companies actually put fake systems in the car that are on show, so they fool the owner into removing one that doesn’t work. It leaves the car still fitted though!